A fairly substantial DHSS assignment your students could engage in for a Capstone or full-course project is a digital archive. A digital archive would involve the collection, organization, digitization, and description a corpus of materials and then publishing them in a public forum. While an archive may seem to lack interpretative opportunities for your students, archival theory demonstrates that the archive is a creation, a piece of work that needs thoughtfulness and documentation to “argue for its existence” (Bacon, 2013). 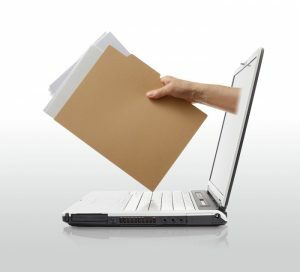 When developed into an assignment, a digital archive can support many program learning outcomes, such as understanding the limits of knowledge; developing an applied and contextual digital literacy; and learning through the experience, the experiential learning, of selecting, organizing, digitizing, and posting a collection of materials. Creating an archive in a digital space can invite students “to critically consider how the structure of the database [the archive] necessarily shapes the information they can retrieve” (drawing on Ehnes & Higston in Kennedy, 2017, para. 30). They can think about how the archive is a configuration of materials, not an standalone object, created through a series of decisions. The “archive reveals those decisions, making clear the curatorial process of archive creation” (Bacon, 2013, p. 77). With the foregrounding of one’s decisions in creating an archive in/for a digital space, the archive can be imagined as scholarly “collaboration” that “offers new ways to share knowledge and create connections between scholars and the public” (Gardiner & Musto, 2015, p. 99). Although archives are often associated with the Humanities, creating a digital archive can also work in the Social Sciences, as our students in geography, anthropology, and political science have demonstrated. Moderate. The elements of the work is not difficult, but organizing and managing the whole assignment may be. K.J. Rawson’s “The Rhetorical Power of Archival Description: Classifying Images of Gender Transgression” based on the Digital Transgender Archive and the Human Sexuality Collection at Cornell University Library. Wendy M. Duff and Verne Harris’ “Stories and Names: Archival description as narrating records and constructing meanings” found in Archival Science, 2(3-4): 263-285. Before you begin digitization: Connect with the Library and establish a relationship for tools and support. We recommend developing a project charter with them to be clear about roles, responsibilities, and time commitments. The process of creating an archive may seem daunting, but as a series of creative and analytical decisions about the ways materials are organized and accessed, an archive can be a stimulating project for your students. While all our students in this project created an online archive, one student, Wendy Alejandra Medina De Loera, was so engaged with the process of creating a digital archive that she reflected on this process in her exhibit, “The Making of a Digital Archive, By a Non-Archivist“. Visit her exhibit to learn about how she, as a non-archivist, even as a non-humanist, engaged in the familiarization process, the decision-making process, the process of copyright clearance, and the process of description and metadata ascription to create a digital archive from the David Worfel fonds. We’ve used Wendy’s experience creating this archive as a way to break down the steps of an archive assignment for your students. Step 1: Layout the learning objectives with your students. Discuss the archive as a subjective and analytical object that is created. Use readings and metadata samples for discussion. Have your students visit Wendy‘s exhibit, “The Making of a Digital Archive, By a Non-Archivist” to learn about her process of creating a digital archive. It could also be helpful to have students look up the archival home of a primary source you have used and/or discussed in class to see how a primary source is contextualized within an archive. Step 2: Have students identify what they’ll digitize and archive. Identify materials for your students to archive and digitize. Material should be in the Public Domain, free from copyright, and/or have the appropriate permissions for digitization and publication. Click here for more about the process of selection. Once materials have been chosen, liaise with the Library to reaffirm timelines. Digitizing, creating metadata, and posting materials takes longer than you expect, as our students will attest. For a course-based project, we recommend each student digitizes and archives no more than 10 to 20 unique items, for example 15 photographs or 5 pamphlets of 3 pages each. Also, identify if students will be digitizing and archiving or also transcribing items. Modify timelines accordingly. Step 3: Draft out archive and the plan for completion. Developing a plan and establishing criteria for selection is a key element of creating an archive. Students should think about purpose, quality, and format of materials, as well as the time and resources they have available. Also, as a process of creation and as an assignment, encourage students to think about the organization of their archive as having a thesis or answering a research question. These guiding ideas will influence description and metadata creation, which can be a very creative process. For example, the same material could be positioned differently if the material was collected to show the work of the creator or if it was collected to write or imagine a history of a community. Your students should become familiar with the Dublin Core, a metadata standard, and create a tracking mechanism, such as a form or a spreadsheet, to ensure the central datum is captured for each item. This organization is a key element of archival practice no matter which perspective you bring to it. Step 4: Have students engage in digitization and metadata creation. As our project members will attest, both of these pieces take a lot of time and while this will take up the majority of their time in this project, your students should come to understand this work as the assignment, not the work that gets in the way of finishing the assignment. To support this, your students should formally track both their process as a way to track their learning and you should be evaluating them on the process and progress of their work. Experiential learning, or learning by experience, involves four steps: experience, reflection, abstraction, and next steps. The steps are cyclical, so that next steps should (re)invite more experience. This model is an important way for you students to understand the work of the digital archive. Your students should not only think about the final product – the completed archive – but what they are learning through the process of creating such a big piece of work: how they are managing their time, articulating the scope of their work, breaking down the tasks, using what they know to solve problems, and how their work meets their purpose and/or method of presentation. All of these reflections should help students constantly adjust their work and workflows according to what they’ve been learning. To encourage reflection, especially critical reflection, students should create field notes, a work log/blog, or even a wiki to track their progress and their learning. This reflective piece should be worth at least 10-20% of their grade to emphasize the importance process as much as final product. Step 5: Have students write an introduction to the archive. Students could also create a video or audio introduction rather than a textual one. This introduction should introduce the materials but also the decisions that went into the way the materials can be accessed and used. In this introduction students should also reflect on the process of selection and description and how these materials could look different if created by a different archivist. Work with the Library to identify if there are materials in their archives and special collections that could be digitized. There may be an ongoing digitization project that could benefit from the collaborative partnership of your students. Work with a community group or a smaller library or archive to see if they have materials that could be digitized. Work with a community group to organize and develop one’s own archives. See The 519’s personal archiving project for young Muslim women as an example. Have students create their own archive or an archive of their family. There are plenty of articles supporting the creation of personal archives; see for example the BBC’s “Why Everyone Has to be a Historian in the Digital Age“, the Financial Times‘ “Personal Archives: Documenting the stories of our lives” (will need to sign in or have institutional access to read), or The Smithsonian’s Q&A on “Taking Care of your Personal Archives” republished by The Atlantic. The Library of Congress’s blog The Signal provided a “Where do you start” guide for personal archiving projects. Digital Archive by Samantha Cutrara, PhD, for the Office of the Vice Provost Academic, York University is licensed under a Creative Commons Attribution-NonCommercial-NoDerivatives 4.0 International License, except where otherwise noted.